UFC 234 : ROBERT WHITTAKER OUT OF UFC 234 DUE TO SURGERY; KELVIN GASTELUM DECLARES HIMSELF WORLD CHAMPION ! - Sports | Sports 24 | Sports News ! Home Videos UFC 234 : ROBERT WHITTAKER OUT OF UFC 234 DUE TO SURGERY; KELVIN GASTELUM DECLARES HIMSELF WORLD CHAMPION ! UFC 234 : ROBERT WHITTAKER OUT OF UFC 234 DUE TO SURGERY; KELVIN GASTELUM DECLARES HIMSELF WORLD CHAMPION ! 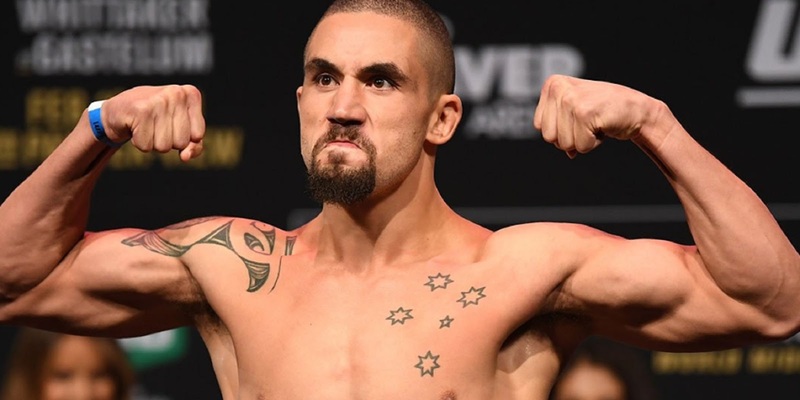 "Due to a severe abdominal injury requiring emergency surgery, UFC middleweight champion Robert Whittaker has been forced to withdraw from his UFC 234 main event against Kelvin Gastelum. Due to change in the main event, customers may request a full refund of their purchased tickets at the point of sale." "This was a freak, freak injury." "Our doctor has never seen it, ever." Kelvin Gastelum (@kelvingastelum) has declared himself the world champion after Robert Whittaker was forced to withdraw from their UFC 234 bout with injury.